We will provide you with an honest, expert diagnosis for any air conditioning repairs. Upfront, affordable prices and free estimates. We are an experienced air conditioning repair contractor. You will receive fast, reliable service. If you need immediate service we aim to serve you within 40 minutes. Expert advice on any air conditioner repairs issues. We’ll try to repair it before we replace it – in order so save you money and lower the cost. We start and get the job done with no delays or stops. Our experienced, certified HVAC technician will come right away. We’ll be at your door in less than an hour, with all the tools and parts we need to fix the problem as quickly and effectively as possible. With affordable prices, quality workmanship, and great customer service, we proudly provide our local New Jersey community with 24-hour emergency air conditioning repair 365 days a year. You never know when your air conditioner will decide to break down. When your air conditioner isn’t working, it doesn’t take long for your home or business to get hot, sweaty, and just plain uncomfortable. No one should have to sweat it out in the 90 degree heat, just because your A/C broke down on a Saturday. At All Done HVAC, we have experienced air condition repair technicians on call 24/7 to serve you. We carry most of Air Conditioning Repair parts in our trucks, so we can minimize your down time without air conditioning . Air Conditioning water leaking problem repair. Radiators and Pump repair and replacement. Compressor / Condenser check up, repair or replacement. Fan replacement / Noisy fan repair. Free up-front cost – so you always know what you going to pay. Our service professional will arrive at your home or business in a vehicle stocked with the AC parts needed for most air conditioner repairs, so we can fix your air conditioner fast. After your repair is completed, we will clean up and leave your home or business looking like nothing ever happened. We guarantee your satisfaction with our work. 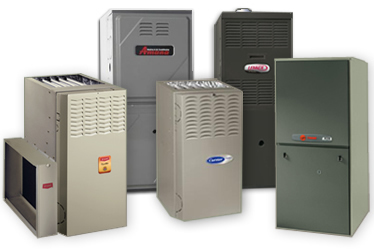 All Done Heating & Air Conditioning is the expert in A/C repair and service in bergen county, northern New Jersey. Our friendly professionals will fix your air conditioning problem quickly so you can get back to enjoying the summer in comfort. Don’t sweat an air conditioner faults, some of the issues are minor and can be fix within the first 1 hour – call All Done Heating & Air Conditioning today and chill out! Whether it’s an air conditioner repair, regular air conditioner maintenance, or a full A/C replacement, All Done Heating & Air Conditioning will solve your air conditioner problems. Our 24 hour air conditioner repair, maintenance, and replacement services are just a phone call away.